So, you’ve heard that paddlesports, including those who kayak, is the fastest growing on-the-water sport in the United States. Right? Yes, it is! lk about two things in this initial post; getting yourself properly trained so you don’t die on the water, and basically outfitting yourself with a few safety items. So let’s get started. Kayaking is different than those folks who power boat and sail, right? Wrong. Ease and cost may be different, but everyone on the water follows the same rules of the road. Just like learning to drive take some time and learn how to be safe and comfortable on the water. And is it easy to do! First and foremost, if you are reading this, you are probably in Texas. So far that is great! Now you need to get your ‘boater safety’ training. 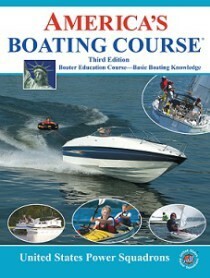 See what America’s Boating Club offers at https://americasboatingclubhouston.org/education/americas-boating-course/. ← What Is a Float Plan?